The Design Trust for Public Space and Times Square Arts have selected Aranda\Lasch + Marcelo Coelho as winners of the 2018 Times Square Valentine Heart Design competition, an annual event that brings a love-themed sculpture to the Crossroads of the World. This year's installation, Window to the Heart, leverages 3D printing to capture the Instagram zeitgeist. The project team collaborated with Formlabs to design a 12-foot-wide 3D-printed Fresnel lens to collect and morph Times Square's lights through a central, heart-shaped aperture. Each segment will be printed using transparent resin in lieu of glass, a material reflection on the changing nature of image capture and dissemination. Laufs Engineering Design – LED is providing structural engineering services for the project. Aranda\Lasch is a New York– and Tucson, Arizona–based design and architecture studio directed by Benjamin Aranda, Chris Lasch and Joaquin Bonifaz. The firm's Exhibit Columbus installation, Another Circle, dropped over 1,000 pieces of salvaged Indiana limestone into a city park to create Stonehenge-like spaces for conversation, theater, and relaxation. 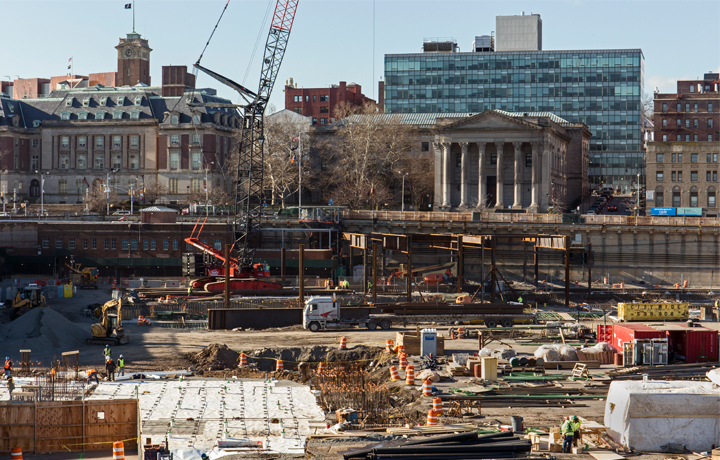 Lasch teaches at the School of Architecture at Taliesin, and Aranda teaches at Cooper Union. The other team member, Marcelo Coelho, is a computation designer who lectures at MIT's Department of Architecture and serves as Head of Design at Formlabs. His recent work includes an audiovisual installation for the 2016 Paralympics, as well as Sandcastles, a project with artist Vik Muniz that used old and new photographic techniques to etch images onto grains of sand. 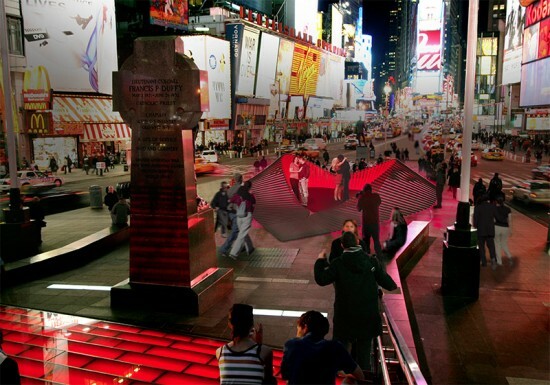 "Times Square is a symbol for how we experience our world," Aranda\Lasch + Marcelo Coelho said, in a prepared statement. “ It is a physical manifestation of our culture, one dispersed and absorbed through cameras and screens. And in this culture, to fall in love you must first fall through a lens.” Siq! By some metrics, Times Square is one of the most Instagrammed spots in the world. And yes, the installation can be tracked on social media with its very own hashtag, #WindowHeartTSq. 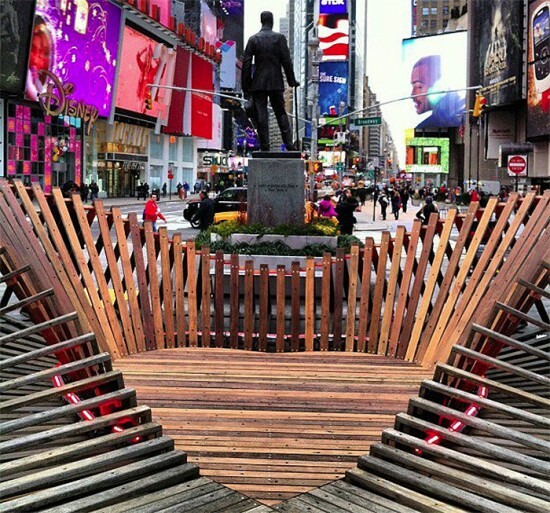 Times Square Arts, the public art division of the Times Square Alliance, collaborated with The Design Trust for Public Space, this year's curator, to pick seven firms to submit installation proposals around the theme "labor of love." Proposals from Jaklitsch/Gardner Architects, office iii, Studio Cadena, StudioKCA, studioSUMO, Taller KEN, and the winning team were reviewed by artists, architects, landscape architects, and city officials. Planning a visit? The installation will be up near the TKTS booth at Father Duffy Square, between 46th and 47th Streets, from February 1 through the end of the month, with a official unveiling scheduled for 11 a.m. on opening day. More information on Window to the Heart can be found on Times Square Arts' website. The 2018 season is the 10th anniversary of the competition: Last year, The Office for Creative Research installed a data-driven sculpture that explored migration and belonging in New York City. This month, the Design Trust for Public Space and Staten Island Arts launching a new series of public arts projects, Future Culture, with the broader mission of connecting people to Staten Island's North Shore and heightening its role in greater New York as a cultural destination. Six finalist proposals for site-specific installations or programs will be surveyed in the exhibition, which opens on September 14. Two of those six proposals will be piloted. The first, a concert series called Court Yard Fridays, will include regular public concerts in the garden adjacent to the Richmond County Supreme Court building, bringing together musicians and listeners of diverse backgrounds. The second, Sonic Gates, will be a sequence of sound sculptures linking the St. George Ferry Terminal and the Clifton SIRR station—the installations will function as both wayfinders between the two points and pitstops encouraging exploration into the surrounding urban terrain from St. George to Stapletown. 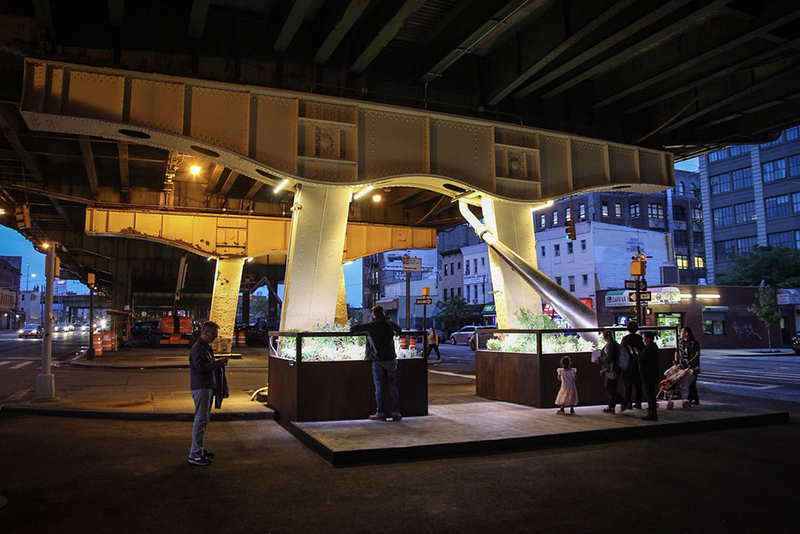 Other finalist ideas included sculptures highlighting the parallel between urban bird corridors and human arterials, bus stop installations celebrating Staten Island's biodiversity, and youth engagement workshops helping local schools rethink their connection to larger community developments. Design Trust for Public Space director Susan Chin said the exhibition aims to "jumpstart a dialogue among the Staten Island Community, developers, and public agencies to strengthen the network of cultural practitioners and to create inclusive and vibrant public spaces in the North Shore." For updates on more specific Future Culture programming running from late September through the end of November, check the Design Trust's website, linked here. 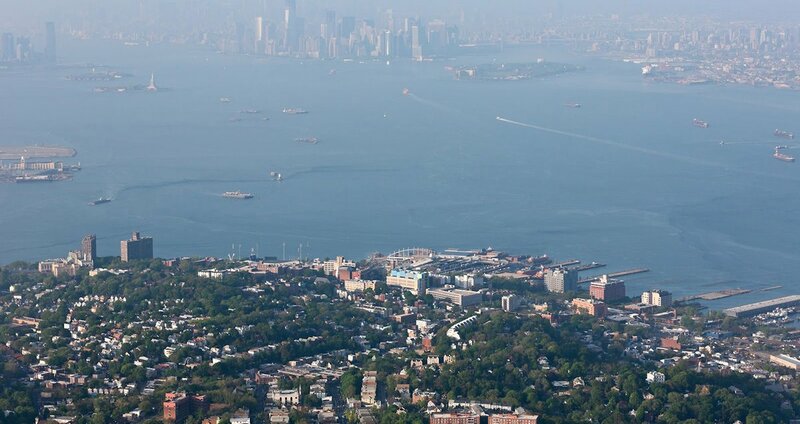 In Manhattan, designer's eyes are moving south, towards the North Shore: The Design Trust for Public Space and Staten Island Arts have teamed up to select five urbanists to work with stakeholders on northern Staten Island to investigate how art and culture can enhance public- and privately-owned open space in the fast-developing area. The urbanists—Lisa Dahl, a Staten Island–based artist; Ben Margolis, urban policy expert; Margie Ruddick, landscape and urban designer; John Schettino, graphic designer, and Gareth Smit, photojournalist—are Design Trust fellows who will work with residents and local artists to collaborate on community engagement, design, and research for Future Culture: Connecting Staten Island’s Waterfront, a multi-year initiative that investigates the changing North Shore. Those changes are coming swiftly. The program responds to big changes emerging on the North Shore. This year, Stapleton's URBY opened its doors to residents, who can partake in cooking classes at the development's shared kitchen or glean agriculture knowledge from its on-staff farmer. New parks and street connections will integrate the formerly industrial Stapleton waterfront with its neighborhood, and development around the St. George ferry terminal, including S9's New York Wheel and SHoP's Empire Outlets, are set to draw thousands of visitors to the North Shore. The fellows will test programming and design recommendations with public art pilots, and will author quarterly newsletters for St. George, Tompkinsville, and Stapleton residents to solicit input on projects and keep them appraised of the findings. The fellows' work will culminate in a plan that can guide strategies for equitable economic development, and revitalization that locks in the community's social, ethnic, and economic diversity long-term. Presented in partnership with the American Institute of Architects New York Chapter (AIANY) Interiors Committee. 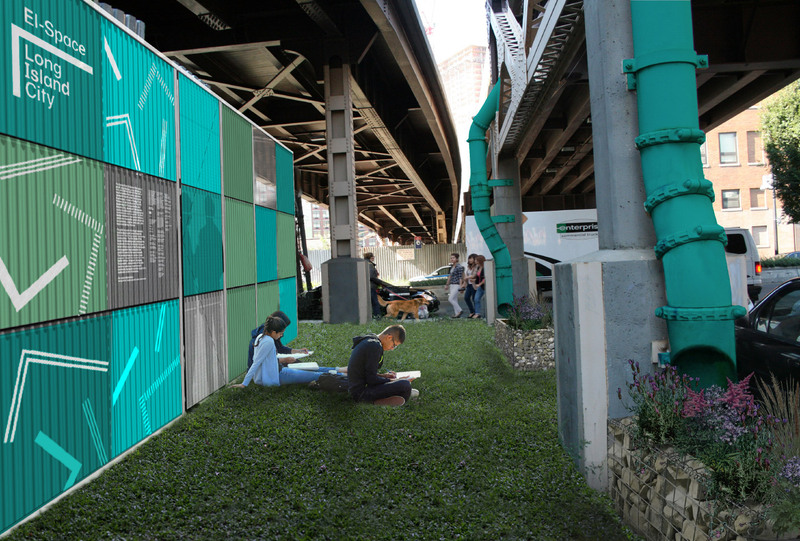 (Jane Greengold with the support of New York City Housing Authority) Brooklyn artist Jane Greengold aims to activate underused public spaces surrounding public housing developments with the residents. The project will develop new ideas and a prototype to transform inaccessible landscapes around NYCHA developments into lively places to gather for residents and visitors alike. On Monday, dozens of designers, planners, and community organizers packed the amphitheater at the newly opened LEESER-designed BRIC House in Brooklyn's rapidly-growing BAM district. The attendees were there to hear the details of the latest Request For Proposals (RFP) from the Design Trust for Public Space, The Energetic City: Connectivity in the Public Realm. The Design Trust has launched pivotal projects before, like their Five Borough Farm that is helping to redefine urban agriculture in New York City. This time, the group is seeking new ideas for public space and, according to a statement, "develop new forms of connectivity among the diverse people, systems, and built, natural, and digital environments of New York City." At stake is the future of public space in New York, along with seed funding that could provide research fellows and eventually a publication of ideas from the winning proposals. Chin said at the launch event that the Design Trust takes the long view, and that winning proposals could move on to future phases with higher budgets and potentially much more lasting impacts. "Public space is all around us, yet for so many New Yorkers it remains invisible and unchangeable. The Design trust is committed to unlocking the potential of NYC's public spaces. With The Energetic City, we will continue to push for design innovation," Chin said in a statement. "We're open to revolutionary ideas that change ways that public space is conceived in many different areas, ranging from sustainable design, transportation, and communication to art, product design, and technology initiatives. We want to help ordinary and extraordinary citizens make a difference in their own communities and in the life of their city." Chin has asked interested parties to look closely at a particular public space in New York City and how ideas revolving around "connectivity" can help to create a more sustainable and equitable city. The Energetic City initiative is open to public agencies, community groups, and, this year, individuals—a first for the Design Trust. The deadline to participate in the RFP's first phase is June 30. Chin highly recommended that interested groups and individuals coordinate their proposals with Rosamond Fletcher, Director of Programs at the Design Trust, to make sure the RFP process goes smoothly. 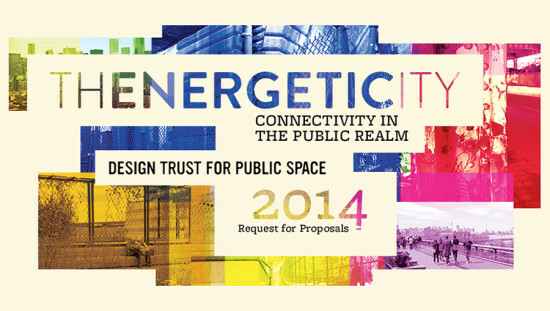 Read more info about the RFP and submit your proposals on the Design Trust website. 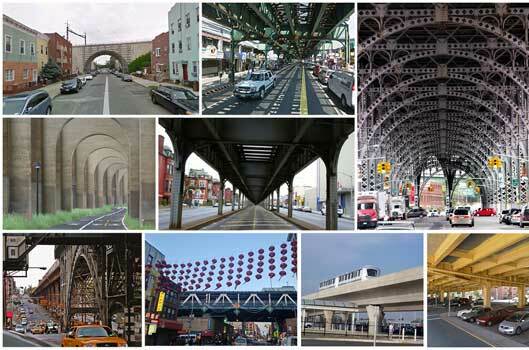 These days, it seems that the Brooklyn community is doing its best to find creative solutions to ameliorate the awkward neighborhood divisions caused by the BQE. The Atlantic Avenue Business Improvement District (BID) just received a grant for $75,000 from the NYC Department of Small Business Services to create what they’re calling a “funderpass” that will turn the dreary BQE underpass into a pedestrian-friendly passageway, which provides a direct connection between the shops and businesses on Atlantic Avenue and the Brooklyn Bridge Park and Pier 6. 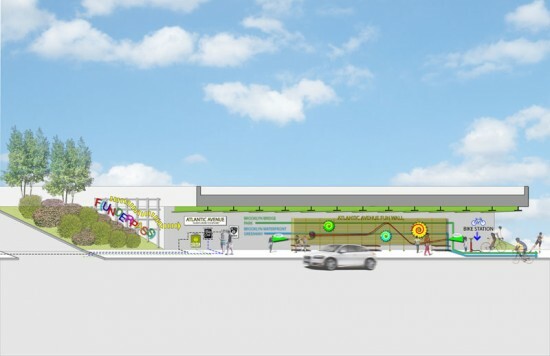 The Atlantic Avenue BID will team up with the Design Trust for Public Space to redesign the underpass to include wall murals by Groundswell, and new amenities such as a bike service station, seating, lighting improvements, and prominent wayfinding signage. BID hopes to finalize the design and possibly implement these changes by the end of 2013.